Secure America Now (SAN) is a hawkish advocacy group founded in 2011 by pollsters John McLaughlin and Pat Caddell that has been linked to right-wing “pro-Israel” factions in the United States and abroad. Observers have characterized its work, which includes running ad campaigns and publishing “push polls,” as misleading and propagandistic. Despite its claims to nonpartisanship, the group has been linked to right-wing factions. Observers have reported on connections between SAN and One Jerusalem—a conservative “pro-Israel” group whose supporters include former Israeli politicians and well known neoconservative ideologues like Elliott Abrams and Douglas Feith—and have argued that the group originated as part of the the xenophobic backlash against the construction of an Islamic cultural center in Manhattan. Supporters of SAN have included Devon Cross, a former adviser to the Center for Security Policyand past member of the Defense Policy Board, and John Bolton, the controversial Bush administration diplomat and a vociferous hardline pundit. Secure America Now, whose president is Allen Roth, marshals a variety of tactics in its effort to “inject national security issues into the public dialogue.” Among the most visible items on the “projects” page of its website are petitions urging the U.S. government, among other things, to “lead a multi-faceted campaign to stop Iran” and “to send a powerful message to the world that America is strong and will not tolerate illegal aliens infiltrating our land.” However, the so-called “petitions” contain no addressee and virtually no text, so they appear to be designed primarily to harvest email addresses. Additionally, the group produces alarmist political ads, publishes hardline talking points on foreign policy issues, conducts biased "push polls," and sometimes collaborates with Republican politicians, such as sending Sen. Ted Cruz on a “fact-finding” trip to Israel and Eastern Europe. The group also operates a series of like-minded "microsites"—including TruthAboutIran.com, IransIllegalNuclearProgram.com, and AreWeSafer.com—whose content consists chiefly of small batches of talking points, graphics, and videos directed at viewers lured from web advertisements. Secure America Now produces a steady stream of advertisements and web videos, most of which appear to circulate primarily on right-wing websites. Though the ads cover a range of subjects, the most common recurring theme is Iran’s nuclear enrichment program, which Secure America Now’s publications continually insist—against the assessments of the U.S. intelligence community—is geared toward producing nuclear weapons. Secure America Now was particularly active during the 2012 election cycle, during it which it produced a series of ads clearly aimed at attacking President Barack Obama. Another Secure American Now ad from 2012 claimed that in his first interview as president, “Obama chose Arab TV for an apology,” referring to the president’s first interview in the White House, during which he said to a reporter from the Dubai-based Al Arabiya that "all too often the United States starts by dictating.” The ad also shows Obama saying that it is “important for us to be willing to talk to Iran,” with a voiceover in the ad then claiming that "Iran answered with terror, attacks on our troops and nuclear weapons development. … Tell President Obama: no apologies, no weakness. It’s time to stop Iran." “Push polls,” which spread politically driven talking points under the guise of gauging public opinion, have been a hallmark of Secure America Now’s work, reflecting on the group’s conception by professional pollsters. A particularly egregious example was a poll McLaughlin and Caddell released in July 2011 purporting to demonstrate that Jewish Americans were abandoning the Democratic Party. According to theWashington Post, the poll was “laughably bogus” because of its flawed sampling techniques and misleading questions. In contrast to the poll’s key finding that “only two in five Jewish voters (43%) say they would vote to re-elect President Obama,” Obama ultimately won nearly 70 percent of the Jewish vote in 2012, handily defeating Republican rival Mitt Romney. In September 2011, Secure America Now released another controversial poll, this one claiming to show that Americans view Iran as the top U.S. security threat. In a press release about the poll, Devon Cross stated: "Though both the Bush and Obama administrations have been reticent to consider military options to address the threat posed by Iranian nukes, the American people are prepared to support such action should sanctions fail. Americans across the political spectrum are focused on security, even though these issues get far less attention from politicians than these polling numbers indicate they should." 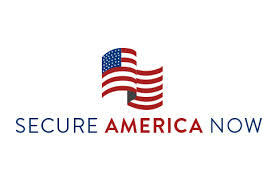 Secure America Now, “About,” http://www.secureamericanow.org/about. Eli Clifton, “Cantor pollster’s real disgrace: ‘Shilling’ for a hawkish foreign policy outfit,” Salon, June 27, 2014, http://www.salon.com/2014/06/27/cantor_pollsters_real_disgrace_shilling_for_a_hawkish_foreign_policy_outfit/. See Secure America Now, “American People Deserve Answers on Rumored Release of World Trade Bombing Mastermind,”http://www.secureamericanow.org/american_people_deserve_answers_on_rumored_release_of_world_trade_center_bombing_mastermind. See Secure America Now, “Secure America Now Advisory Board Member John Bolton on the U.S. Deal with Iran,”http://www.secureamericanow.org/video_secure_america_now_advisory_board_member_john_bolton_on_the_u_s_deal_with_iran. Secure America Now, “Fact-Finding Tour of Eastern Europe and Israel With Senator Ted Cruz,” http://www.secureamericanow.org/ted_tour. John Allen Gay, “Guess Where This Hawkish Group Thinks Iran's Nuclear Sites Are,” National Interest, August 14, 2014, http://nationalinterest.org/blog/the-buzz/guess-where-hawkish-group-thinks-irans-nuclear-sites-are-11080. Jason Linkins, “Secure America Now Says We Are All Probably Going To Die ... Because Obama,” Huffington Post, August 1, 2012, http://www.huffingtonpost.com/2012/07/31/secure-america-now-obama-ad_n_1724142.html. Politifact.com, “Ad says Obama apologized, showed weakness on Iran,” July 4, 2012, http://www.politifact.com/truth-o-meter/statements/2012/jul/12/secure-america-now/ad-says-obama-apologized-showed-weakness-iran/. Adam Serwer, “Laughably bogus poll tries to `prove’ Obama is losing Jewish support,” Washington Post, the Plum Line, July 13, 2011, http://www.washingtonpost.com/blogs/plum-line/post/laughably-bogus-poll-tries-to-prove-obama-is-losing-jewish-support/2011/03/04/gIQAWwOSCI_blog.html. Eli Clifton, “Secure America Now Commissions Own Founders To Conduct Flawed Poll On Jewish Voters,” ThinkProgress, July 13, 2011, http://thinkprogress.org/security/2011/07/13/267495/secure-america-now-poll-jewish-voters/. Secure America Now, “Iran now viewed as top American security threat, new poll finds,” September 19, 2011, http://mclaughlinonline.com/2011/09/19/iran-now-viewed-as-top-american-security-threat-new-poll-finds/. Ben Smith, “Where the threats are,” Politico, September 19, 2011, http://www.politico.com/blogs/bensmith/0911/Where_the_threats_are.html?s. Justin Elliot, “Flawed poll hypes threat of Iran,” Salon, September 19, 2011, http://www.salon.com/2011/09/19/iran_poll/singleton/.